Editor’s Note: This limited-time offer has expired. 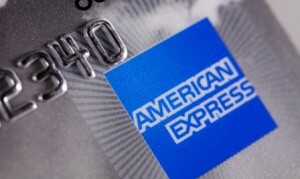 This is just a quick note to let you know about another interesting promo from American Express. Just in time for the peak of the holiday shopping season, they’ve rolled out their so-called Gift Chain program. Honestly, there’s not much on that list excites me, but it can’t hurt to sign up. ProTip: There’s a limit of 10 gifts total, but there is no limit per retailer. Thus, you can buy (in separate transactions) 10 x $25 WalMart gift cards to max out the gifts in short order. Or you could buy gift cards to other stores through WalMart in ten separate purchases. Whichever you prefer. The gifts include small (generally $2-$10) statement credits, store gift cards, etc. Presumably that high value items are pretty rare, but you could still wind up with a nice little pile of gifts if you do this. This promo is open to the first 250k registrants. As of right now, around 90k people have signed up. Here’s the link: Amex Gift Chain. 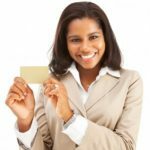 I purchased 10 gift cards for 2 amex cards and gifts ranged from shoprunner (pretty much the 1st gift each time) gifts ranged from 5 dollar amex credit to 10 dollar gift card for you and 3 facebook friends. I plan on selling most of the cards. I believe the walmart gifts are all 2 dollar overflow gifts. Around 70% of the free gifts are a free shipping deal for certain websites. That may be useful to some but to me it isn’t worth much of anything.